Ali Hocaoğlu, a Turkish businessmen who had spent a year in pre-trial detention over his alleged links to the Gulen movement, has died of gastric cancer, according to media. Izmir-based businessman was jailed as part of an investigation into the Gulen followers in around April, 2017. Nearly a month ago his medical condition got so deteriorated that he was released on judicial control. He was subsequently taken from Izmir’s Sakran prison to hospital where he stayed 3 weeks prior to his decease. Hocaoğlu reportedly spent his final week in intensive care unit. According to media, Hocaoğlu’s father İsmail Hocaoğlu is also held in pre-trial detention in Sakran prison over similar charges. The father has recently had a heart surgery. 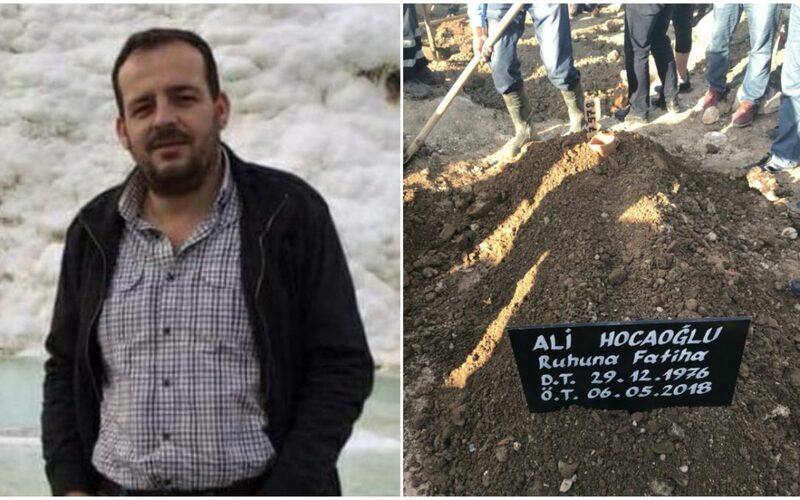 Meanwhile, Savaş Uyar, a 41-year-old public accountant in Turkey’s Giresun province has lost 41 kilograms during months-long pre-trial detention as he is suffering from several medical problems, according to several sources.